On the 6th of March, we took off for Berlin. This was an interesting day. First, these other groups resented us leading them. Here was this crew coming from somewhere else and taking over as lead crew. Even though they put their command pilot with us, they still resented this outside crew coming in to lead them. I don’t know who made this decision, but they put us in as deputy lead for the Second Air Division. We were flying off the right wing of the lead plane. The command pilot was in the lead plane, but we had instructions that if the conditions were going to be undercast when we got to Berlin, they would give us the green light to take over the lead and we were to bomb on radar. The reason for this was that they wanted their plane to be in the lead and we were just there for that emergency condition. We were just approaching Berlin when we got the green light to take over the lead. The plan was that, if we had to take over the lead in an undercast situation when the other bombers couldn’t use their Norden bomb sights, we were to zero in on the target, open the bomb bay doors, and bomb. The other planes opened their doors when we did and then bombed when they saw us release. To me it was quite obvious it was clear over Berlin. It had been undercast just before at the initial point. We didn’t have much time to take over the lead. You need to set up your automatic pilot and warm up the bomb sight. I told my bombardier, “I think it’s clear enough to bomb visually.” It would have taken fifteen minutes to get the bomb sight ready and get the gyros going to full speed. All the time, we were approaching Berlin. We had our bomb bay doors open, and our radio navigator said we were about right over the target. With radar, you have to use a lot of imagination and a lot of guessing. He said it’s time to drop the bombs. I told the bombardier, “Toggle the bombs” (drop the bombs). He couldn’t drop the bombs for some reason. I think he was just scared. He wasn’t my regular bombardier. I told Satterland, my co-pilot, “Salvo them!” Right between the pilot and co-pilot, there was a red handle that allowed you to salvo your bombs in an emergency. He did it, then we turned the lead back over to the lead ship. 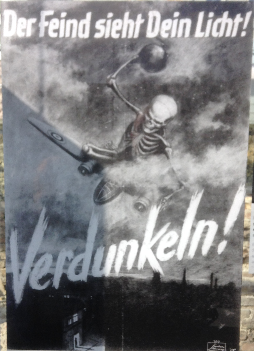 The flak over Berlin was really heavy. I still have a piece of the flak that broke the glass above my head and lodged in the seat behind me. It turned out we were the first B-24 over Berlin. To my daughter, World War II seems like ancient history—something that happened after, say, the Trojan War and well before her birth. In terms of distance in time, it is for her as the Spanish-American War is for me. To me, however, the Second World War seems recent enough if only because my father participated in it. He never spoke much about the war. Men of that generation tended not to. If he was haunted by demons because of what he experienced or what he saw or the friends he lost, we never really heard about it. He did have the piece of flak he mentioned in the quote above, and we were impressed by it. It made for an exciting story, like something we might see in the movies or on television, but it never really sank in that it was something that had actually trully happened and that he had come so close to winding up as one more casualty of that war. 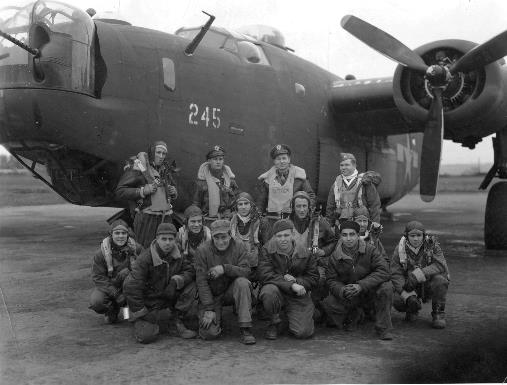 Sixty-eight of 750 B-24’s and B-17’s did not come back from that March 6 mission over Berlin. In the course of the war, the Eighth Air Force suffered some 26,000 casualties—accounting for half of all the Army Air Force casualties and exceeding the number of marine casualties in the Pacific theater. That was certainly more serious stuff than anything I was up to at the age of 24. If I was at all nervous about flying to Berlin a couple of weeks ago, mere hours after the terrorist attacks in Brussels, I only had to remind myself that I had it infinitely better than Dad did on his flight to Berlin. Making my first visit to Berlin—or, for that matter, to Germany—was strange in that it was the first time in my life that I was in a place that I knew with total certainty that my father had bombed. That knowledge never left my consciousness during the entire visit. Every time (and there were many) that a placard or a person mentioned an important site that had suffered damage during World War II, the question ran through my mind, did Dad drop that one? I thought of the fear that civilians must have felt at the sound of the planes and the bombs. On the other hand, I knew that Dad and the other servicemen had to be pretty scared too. And, as we encountered the legacy of the many horrific atrocities of the Nazi regime, there was some satisfaction in knowing that Dad had played a part in ending it. Because the man I grew up with had participated in the war, I was also very conscious of how recent all those events were. In the grand scheme of things, World War II was just a moment ago. Centenary observances in Ireland these days are a frequent reminder that a scant century ago the country where I now live was caught up in an armed rebellion that was soon followed by a bloody civil war. In fact, the more time passes, the more I find astounding that history seemed to pivot so dramatically after 1945. As Berlin’s marvelous museums teach us, European history and, indeed, all human history seem to consist of one war after another, punctuated by fitful and temporary periods of relative peace. Yet there has been no widespread conflagration on the scale of the world wars for nearly three-quarters of a century. Has the human race (suddenly and quickly) evolved to the point where the only wars are now small regional ones? Or sporadic attacks against civilians by terrorists who hide in major cities? Have we really become so enlightened that we will never again see the devastation wrought by supposedly civilized nations like that which was launched in 1914 and 1939? Or is it the case, as I sometimes fear, that because people are now living longer and thus generations endure longer, it just takes longer for new generations to forget—or never learn—the lessons of the past?